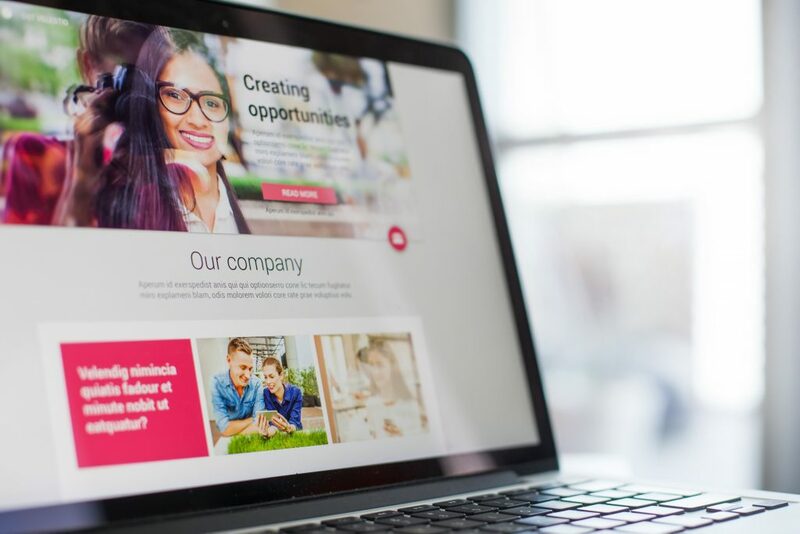 When you’re advertising your franchise opportunity online, it’s essential that your ads lead to a compelling web page that makes people want to take the next step in your sales process. This page is called a landing page and it’s part of the secret sauce that makes your digital advertising work! While the content of every landing page may differ, there are some hard and fast rules you should follow to maximize your digital advertising dollars and ensure the best chance of success. This practice is called conversion optimization and there is a formula you can follow to improve your results. Keep reading to learn Sparktank’s four rules for developing killer landing pages, plus extra tips and tricks to make your digital advertising dollars go the distance. A landing page is different than your homepage, or even a regular page on your website. Landing pages are used in conjunction with paid digital advertising, and they have a specific marketing goal attached that can be easily measured. Paid search traffic behaves differently than normal traffic in that paid search is looking for the answer to a specific question or need: the answer to the question or need presented in the ad itself. Therefore, the goal of the page is to answer this need. Goals for a landing page could include selling a product, inviting people to an event or building an email list by offering a free lead magnet (eg e-book, information kit, resource, etc.) For example, the goal of a franchise recruitment campaign may be to have prospects fill out an online application form, like this one we built for A&W. When the goal is reached – i.e. the application form has been filled out and submitted – the user becomes a conversion and moves into the next phase of your sales funnel. Woohoo! Building a conversion-driven landing page has some different do’s and don’ts than building a regular website page. In order to make sure prospects don’t leave your customized page, it’s important to remove all external links (even those that lead to your homepage), since these links will only serve to distract visitors – and thereby decrease conversions. Design your landing page so that there are no external links to other websites – nothing that may cause your prospect to intentionally or accidentally navigate away from the landing page. Create a focused landing page that shows your users exactly where to go. The only goal of the page should be your call-to-action, ie link to your conversion form. Make sure this call to action is prominent, “pops” out to the viewer and is always visible. People are busy and a long form with too many questions in it could dissuade a prospect from wanting to fill it out – especially if they are on a mobile device. Keep the contact form short and sweet and only ask for the essentials. According to Unbounce, reducing your form fields from 11 to 4 can result in a 120% conversion improvement! In addition, users shouldn’t have to scroll down or click through multiple pages to see the contact form or primary call to action. Make sure a form or button that leads to your form is always visible. The biggest mistake that you can make is trying to appeal to everyone. Examine your target audience. Speak their language and determine what you can do to make your landing page appeal directly to their needs. Don’t forget to use a second person tone of voice – i.e. “You” when addressing your audience. Studies show that 55% of website visitors only spend about 15 seconds on a page before moving on. This means you have less than 15 seconds to load your page and convince your visitors to stick around. Use a headline that reflects your unique selling proposition. Explain what makes your product or service special, desirable and exactly what your prospect needs. Video connects with prospects in a highly personal way. When you augment video content with the power to target your ideal audience, the impact can be huge. The best franchise recruitment videos showcase one of your successful franchisees, providing a glowing testimonial of their personal experience with your business. Include the owner explaining the benefits of the franchise opportunity for the biggest impact. Your offer needs to be compelling enough to make your visitor want to take the action you desire, i.e. convert. Know your customer and make sure your offer answers their needs. Be sure the offer is clear and offers great value – and make sure you’ve explained this well! Don’t put cheesy images on your landing page just to fill up space. The images used on your landing page should reinforce the message and value that you’re offering. In October of 2016, mobile traffic officially surpassed desktop traffic. That means more people accessed the internet from their mobile phone or tablet than from their desktop computer. The trend isn’t slowing down either. By 2019, mobile is predicted to account for 79% of all web traffic. So what happens if your site doesn’t work well on mobile? Studies show people will simply stop visiting it, and instead spend their time on a site that provides a smoother mobile experience. Having a mobile-friendly landing page has simply become a necessity. If a user clicks on your ad, they will be expecting to find something similar on your landing page. If this isn’t the case, they might lose interest (after all, it’s not what they had signed up for)—or worse, feel deceived. Make the images and design, as well as the message and language, consistent between the landing page and your digital advertising. Interested in discussing your digital advertising campaigns and franchise recruitment? Need help creating your own killer landing page? Contact us today to start the conversation!